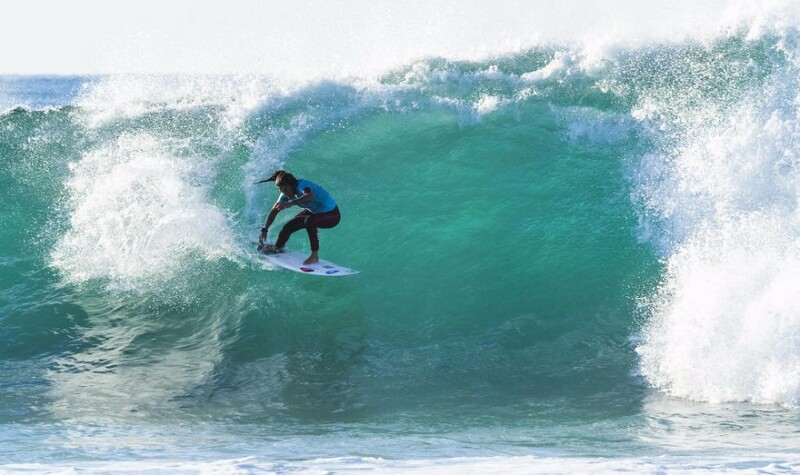 The 6th stop on WSL Women's Championship, Corona Open J-Bay Women's 2018 kicked off at Jeffreys Bay in solid 4-6 foot conditions on July 6, 2018. This year, Women's Championship added four events such as Corona Bali Protected, Uluwatu CT, Corona Open J-Bay and Surf Ranch Pro. But Swatch Pro at Trestles, Outerknown Fiji Women's Pro and Cascais Women's Pro are no longer held. This time, Bianca Buitendag (ZAF) returned to the competitions as a wildcard. Recently she almost gave up her spot due to a back injury but, fortunately, decided to push through. In Round 1, four goofyfooters Tatiana Weston-Webb (BRA), Bianca Buitendag, Caroline Marks (USA) and Bronte Macaulay (AUS) advanced to directly Round 3. Especially, Bianca Buitendag earned the highest score 8.87 of the day. Unfortunately, Silvana Lima (BRA) was injured in Heat 2 and will withdraw from this event. "It's hard for us to believe that we're actually here. It's 4-6 foot and running all the way down so it's a bit surreal. I'm trying not to let my back get to me but every time I do a bottom turn it locks up. But I wanted to come to this event. I feel being a wildcard, it's the best way to enter. I was on the Tour for six years and you carry this pressure with you all the time. It feels like a knot in your chest. As a wildcard you're completely free of that. You can surf without anything at risk."